I don't think I push through my limits. I'm trying to work on that. The hat is cute. I love my NikeFit visors though! i like the hat...very cute. I've had a couple of races where I was darn close to my limits. I like to finish a race with an all out sprint and I've been playing with how far away from the finish I can start that. Last year, when I first trained for a half marathon, I definitely didn't push myself. I would think, "If I work harder today, then I'll have to work even harder tomorrow and then it won't be fun anymore," As a result, as I added distance, my pace just slowed down, and it turned out that wasn't fun either. This year, I'm definitely pushing my limits. I've had off days, but I have also seen big improvements in the way I feel and in my pace. That's fun! Great quote - and I love the hat! I haven't hit my limits yet but I do know that I get closer when I don't take water even on a short run. I hate being thirsty. Cute cap! Looks great with your SMILE! Excellent job on your intervals. I also love to visualize the marathon finish line. I am giddy with anticipation so I can only imagine how you are feeling right now!!! Love the "LIMITS" topic.... PUSH THOSE LIMITS! I finally had a race where I didn't give up and gave it all I could and it was just such a great feeling...that I COULD do it. I am going to be pushing my limits this weekend in my half. I love the hat! You look cute in hats! My ears stick WAY out so I can't wear hats. I also have thick hair, and I imagine that wearing a hat would make your head really hot too....maybe a visor is a good idea. 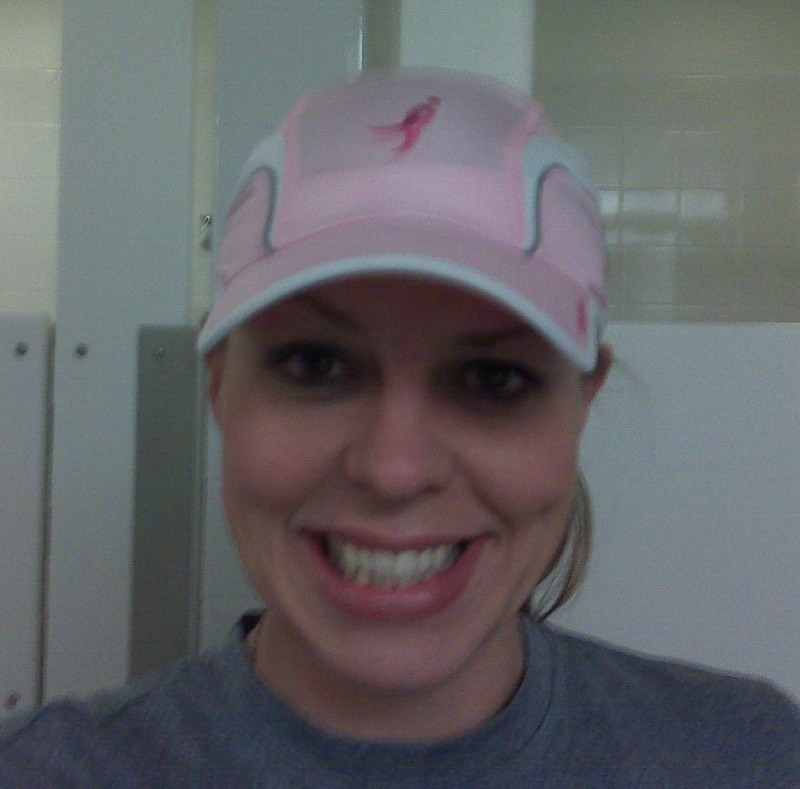 I wore a visor from Headsweats for my half a few weeks ago, and I really liked it! I love your thoughts. Good thoughts. You are always so positive! Keep it up, Mel. Getting excited for you! I like visors. I have too much hair for a hat. Nice job staying positive. You are really prepared for your marathon. I have enjoyed following along with your mental prep as much as your physical. My limits? What limits me in my running is only time. Having enough time to train, having enough time for family,...Time aside I see no limit to what I can do. I may not be the fastest or the strongest but I can do anything that I want to. It just takes time. Yet another inspiring post! I think you're right, the voices in our heads often hold us back from testing our limits. Then again, sometimes it's our feet! You're going to be amazing at Eugene! limits. i always think about this. i seem to always have a kick at the end of races (well maybe not the half i did) but my point is i always feel like i am holding back b/c i don't want to run out of fuel. but i often wonder if holding back is not right, if i have so much energy to kick it in fast at the end maybe i should be pushing myself more ??? I have been thinking about this often after reading Run Like a Mother and the section on emptying the tank. I have never done that and am a little scared to do that in front of others but it is something that as a person I should strive for. Really putting myself on the line and seeing what happens! It's great that you can use your former basketball mantra as your new running mantra, and it's a good one. Great post. You're ready for Eugene and you gonna be great! Love the hat!! Positive thoughts are simply the way to go. Adorable hat! you always have the cutest stuff. cute hat! you are so pretty! nice job on the interval run! what pace are you hoping to hold for the marathon? 11 days...so exciting! great job on your run!! I definitely don't test my limits. I've run a lot of races in the past year and always feel like i have something left at the end. Even when my times got faster, i still was fine immediately after stopping. 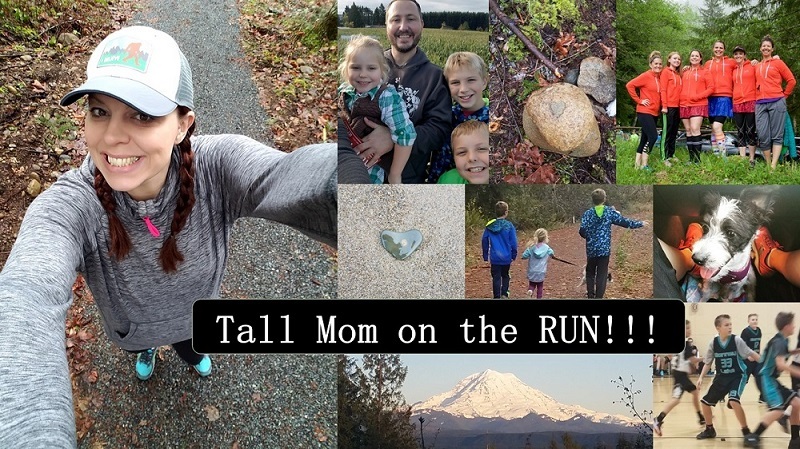 I think the biggest thing that holds me back is feeling like when I'm done racing, i still have to be mama to a 2 1/2 year old for the rest of the day (and the days after that) and he doesn't want to hear that mama's tired or sore and can't run after him. i'm hoping to work on this when racing season starts again in the Fall. i'm curious to see just how much i have in me. GOOD LUCK!!! Yes - I think we ARE afraid to give it our all sometimes. I read a great book to help my marathon training by Matt Fitzgerald called BRAIN TRAINING FOR RUNNERS and I highly recommend it. The book taught me (among MANY other things) that we are indeed really limited by what we THINK we can do. We CAN do much more than we think we can do. When I qualified for Boston last fall my main strategy was to focus on NOW. I think we tend, in a marathon, to worry about how we will keep it up for the miles ahead. I focused on how I felt NOW. Am I feeling strong? Yes. My strategy was to run as hard as I could while I felt good. I had a mantra to keep myself focused and to push pain and fatigue out of my mind. I pushed away thoughts of how I would keep up the pace and focused on how I felt right at the moment. And it worked. Your 5K PR and your half marathon PR are a few seconds faster than mine, but my marathon PR is 3:41, which tells me you CAN go faster. Don't be afraid. Ask yourself what's the worst that can happen. You run out of steam, so what. Don't slow down in ANTICIPATION of running out of steam. Just run hard as long as you possibly can. I ran Boston super slowly this past Monday to soak it all in. It was AWESOME. YOU GO GIRL!! You CAN do it. oh. I remember what (one of my) mantras was when I qualified: LEAVE NOTHING. In other words, go ALL OUT. Leave nothing on the table. Finish the race knowing you had nothing more to give. Find out what you're made of. Also, when you're tired at the end, tell yourself the faster you go, the faster you'll be done. Sounds like you're training really well and feeling confident, so now's the time. GO, GIRL!! There are no limits; they change as you do. Try a Nike women's running hat. I hate hats for running but, if I need one, they work wonderfully.